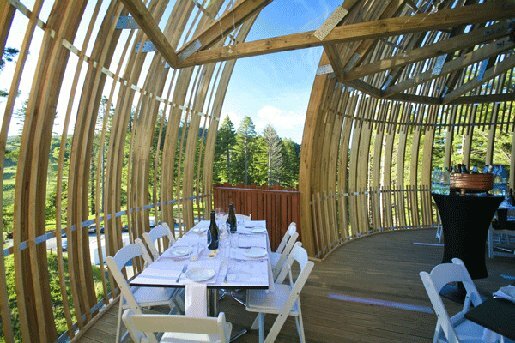 The Yellow Pages Treehouse Restaurant campaign of 2008 was recently awarded the 360 AXIS in the CAANZ (Communication Agencies Association of New Zealand) Axis Effectiveness Awards. Colenso BBDO and AIM Proximity worked together with Yellow™ New Zealand to build a restaurant in a treee, 10 metres up in a remote redwood forest near Warkworth, north of Auckland. The campaign was recognized in the Axis awards for its all round effectiveness. Fifty businesses, found in Yellow, were showcased. The site received more than 125,000 unique visitors, no mean achievement for a country with a population of just a little over 4 million people. The campaign was mentioned on sites around the world, including Kanye West’s blog and the Times of London. Over 50 international magazines took up the story. It was covered by each of the major New Zealand news outlets as well as television channels in Korea, Germany and the UK. And it highlighted to everyone who saw it, that even the most impossible tasks can be undertaken successfully using nothing but Yellow. 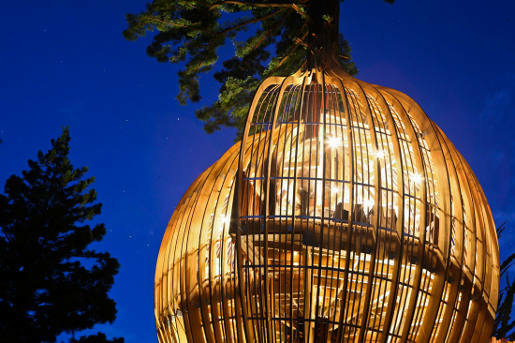 The Yellow Treehouse Restaurant campaign was developed at Colenso BBDO and AIM Proximity. The Colenso BBDO team included executive creative director Nick Worthington, creative director Steve Cochran, creatives Anne Boothroyd and Maria Lishman, account service team Ngaio Pardon, Krystel Houghton, and agency producer Nigel Sutton. The AIM Proximity team included creative director Dave King, creatives Tony Clewett and Aaron Goldring, account service team Matthew Pickering, Victoria Pether, Karen Boulton, interactive designers Simon Redwood, Shanan Goldring and Ed Hackney, planner James Hurman, agency producer Paul Courtney, interactive producer Amanda Theobold and Tali Rose, web developers Robin Southgate, Cameron Crosby, Bruno Imbrizi. Filming was shot by director Michael Reihana via Mike Ltd. with director of photography/editor Dan Monaghand. Sound design and music were produced at Soundtrax. Post production was done at Oktobor. Photographer was Stephen Langdon at Reload. The Yellow Pages Group marketing team were Kellie Nathan, Maree Lawrence and Jo Sutherland. Architectural design was by Peter Eising at Pacific Environments. Other companies, also found in the Yellow Pages, were Frucor Beverages, Omaha Bay Vineyard, Altura Coffee, Lamb & Molloy, Ecomist, Matua Valley Wines, Dawsons Catering, Corys Warkworth, Citywide Construction, Carlton Party Hire, Honey Centre & Cafe, Matakana Coast Electrical, Marsh Limited, PSP, Timberworld, ECC Lighting, Dashwood Design, EFTPOST New Zealand, Northpower, Ian Hunt Floorings, NZ Access Hire, Quest Matakana, Macsway Scaffolding, McIntosh Timber Laminates, Stumps R Us, NZ Strong Construction, Holmes Consulting, Holmes Solutions, Holmes Fire & Safety, Rodney District Council, The Building Intelligence Group, C & L Sorenson, Farmside.